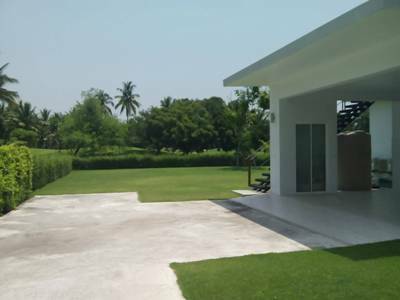 House for rent in project good in Moo Baan Sanpranet area Chiangmai, Thailand. kitchen, fully furnished, and nice garden. 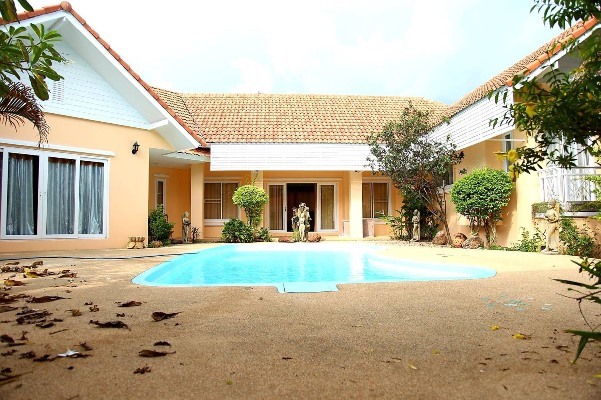 HR5009- House for rent with Private Swimming Pool in Chiangmai Thailand. build-in wardrobe in 2 bedrooms. Fully fitted western kitchean with hood. Price for Rent 45,000 THB / per month include maintenance fee, Cleaning Pool, Gerdening Once a month. Shady house on a big yard, can walk to Meechock plaza. Land area 300 sq.wa. or 1,200 sq/m. - 1 large house with 4 bedrooms, 4 bathroom, 2 living rooms, 1 maid s room, 1 western kitchen and 1 Thai kitchen. - 1 small house with 1 bedroom and 1 bathroom. - Rent for 45,000/m, 2 months deposit and at-least 1 year contract. HR1681- House for rent in Chiangmai Thailand. Un Available Until , July 2023. Beautiful house with a swimming pool. 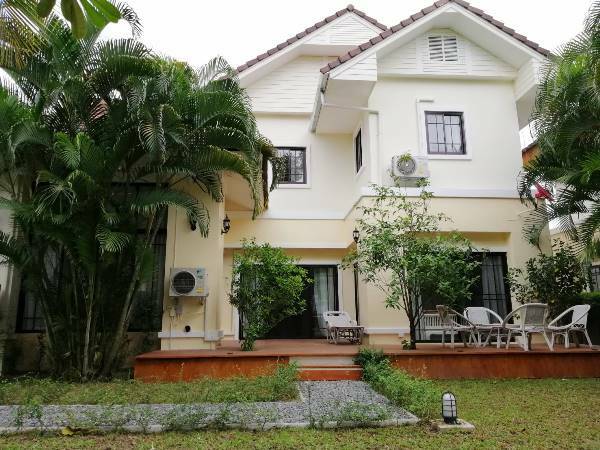 Sales in Chiang Mai Getting to the hotel just 10 minutes from Chiang Mai International Airport, five minutes to Big C, Makro or Grace International School. 350 sqm. 100 Sq. 4 bedrooms (can be up to 5 bedrooms) Ensuit. 5 Bathrooms 1 living room 2 parking security Playground A security officer Access to public transport and amenities: Yes. Selling house measuring 100 square meters, 350 square meters of living space, great atmosphere and beautiful surroundings. With private pool, four bedrooms, five bathrooms with luxury bath, living room, western kitchen. 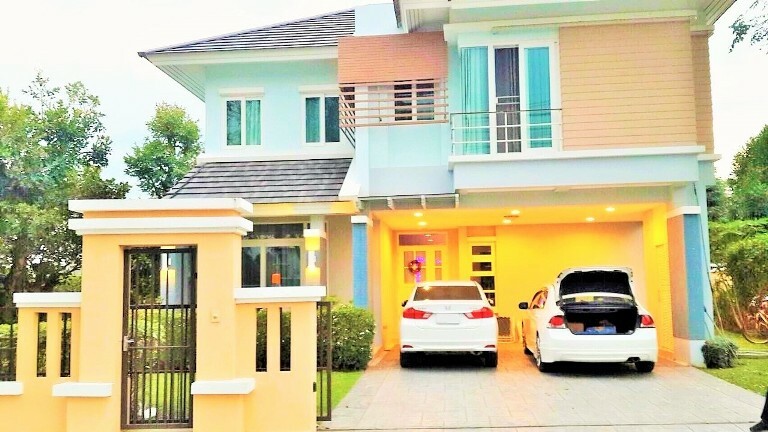 Community Safety And easy to get to, only 10 minutes from Chiang Mai International Airport, five minutes to Big C, Makro or Grace International School. Kindergarten Sun sine etc. HR1550- House for rent with private swimming pool in mae jo area Chiangmai Thailand. 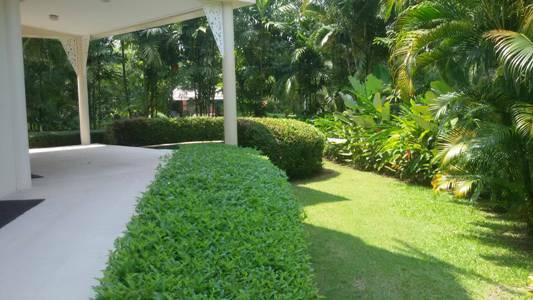 Very beautiful house with Private swimming pool and beautiful for garden at large area in Maejo area Chiang Mai. The main house with 2 bedrooms, 2 bathrooms, 1 Office ,3 Air-condition , 1 kitchen, including a swimming pool. ,and a maidroom and of the garage on the same, and one bedroom for extra room for guest. HR1773- House for rent in Chiangmai Thailand. 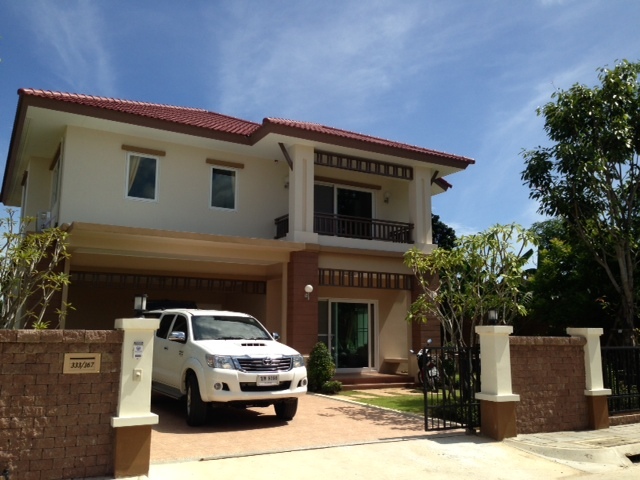 A large full furnished luxury family house for rent in CannalRod Chiangmai. 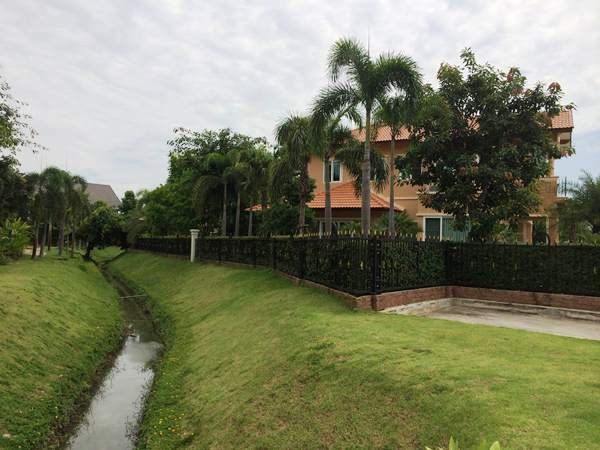 Land seize 404 m, Living space 250 m.
For Rent THB 45,000 bathper months minimum Rental 12 months. Reguire 2 months deposit for security with advance+1 months rent. 3 Bedrooms, 2 Bathrooms, 1 Guest toilet, 1 represent. Hall, 1 Living room sofa sets, Dining table set, Hallway above, 2 storage room, European kitchen,large Refrigerator,Washing machine,Microwave oven, 3 Hot water, 4 Air condition, 2 Samsung HD TV, Wireless Internet TV, IPM Satellite TV, H1 Garden Furniture Set, 24 hr CCTV security service very safety. Fcailities. Fitness area inside and outside,keep-fit-trail. Sauna. beautiful Swimming pool, Children Playground, large Park on lakeside, Bicycle lane. Nearby. Chiangmai University, Interatiional Airport, German School, Panyaden School American Pacific International School, Night Safari, Royal Flora Rajapruek, kad Farang Makro Big- C,Tesco Lotus, Central Airport store and Hangdong Hospital all facility near by. HR1774- House for rent in Chiangmai Thailand. with 4 Beds, 4 baths,1 Livingroom, 1 Kitchen , 6 air-condition,1 maid,warm water,fully furnished.,1 car park. @ Gems Gallery Chiangmai Co.,LTD. 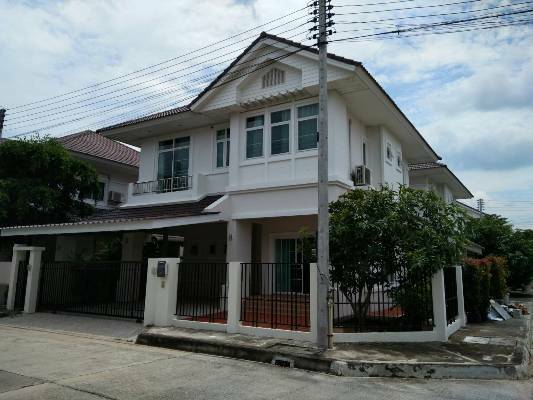 HR1632- House for rent in Chiangmai Thailand. 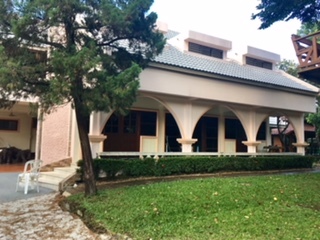 HR1924- House for rent in Chiangmai Thailand. The beautiful house for rent in Maerim area. Good location , nature, safe and private. It has 3 bedroom,3 bathroom,1 maid, fully high quality of furniture.It takes about 30 minutes to the town. More information Please Contact MR. Wisan 082-8952733 ,OR. E- mail; wisan.house23@gmail.com. 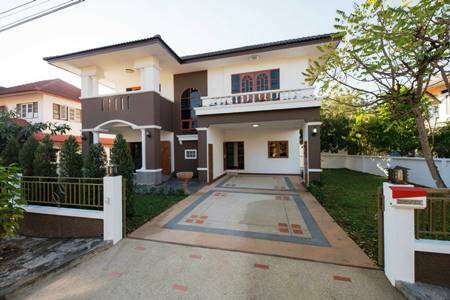 HR1925- House for rent in Chiangmai Thailand. The beautiful house for rent in Maerim area. 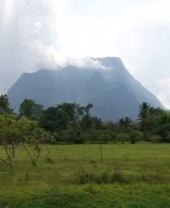 Good location , nature, safe and private. It has 4 bedroom,4 bathroom, fully high quality of furniture.It takes about 30 minutes to the town. 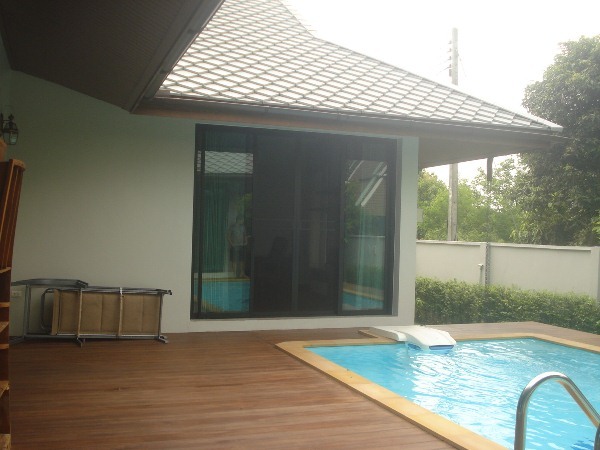 HR1928- House with private swimming pool for rent in Chiangmai Thailand. Beautiful new modern house for rent with Private Swimming Pool. in Chiangmai. with 4 beds, 4 baths, fully furnished, good quality of the interior and furniture, bright . 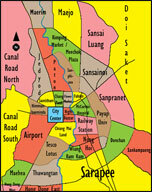 about 5-10 minute to Chiangmai City & Chiangmai International airport. living room, kitchen, dining room without furniture. Lot Size : 79.8 sq.wa Using area : 275 Sq.m 4 Beds, 3 Baths, 1 Living room, 1 Kitchen, 1 Dinning room, 1 Air- condition, 1 Hot-Water, 2-4 Secure Parking. Facilities: Security Accessible to public transportation and amenities. 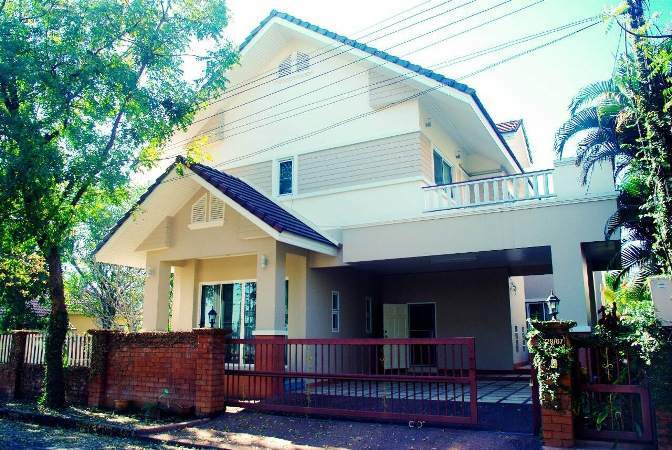 Double storey house for rent located in , Saraphi, Chiangmai. with 4 air- conditioners, 4 hot- water, refrigerator, microwave, Hood, Gas stove, Bath tub, Washing machine and 2 Parking. It takes approximately 15 minutes driving to Chiangmai International Airport and Chiangmai City. General Features Land Size : 80 Sq.wa House Size : 195 Sq.m. Price for rent : 25,000 THB/Month, 4 Beds, 4 Baths, 1 Living room, 1 Kitchen, 1 Storage room ,2 Secure Parking , Fully furnished. Facilities: Swimming Pools, Club House, Gym, Security, Childrens Play Area. 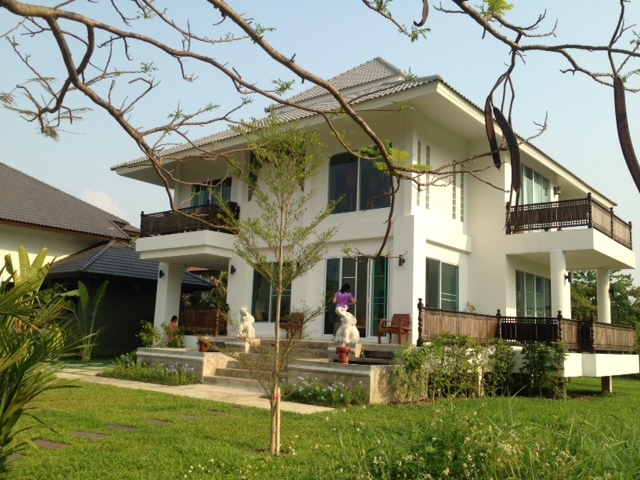 Beautiful House for rent in Saraphi, Chiangmai, Thailand. 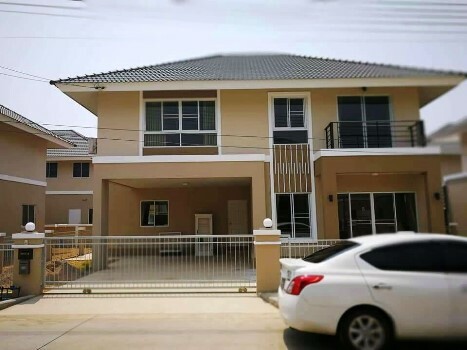 Double Storey House for Rent Locate in Pha Bong Sub-district, Saraphi District, Chiangmai Province. Fully Furnished 4 beds, 4 baths, 1 livingroom, 1 Western kitchen with oven and nice garden. It takes approximately 20 minutes driving to Chiangmai International Airport and Chiangmai City.